Jill Newhouse Gallery presents an exhibition of works on paper by Auguste Herbin (1882–1960), a leading figure in the development of geometric abstraction in Europe. Featuring rarely seen gouaches from Herbin’s mature period, these works were previously in the collection of the Sidney Janis Gallery (1973) where they were shown alongside works by Brancusi, Mondrian, and Leger. Sidney Janis Gallery held a solo exhibition of works by Herbin in 1974. 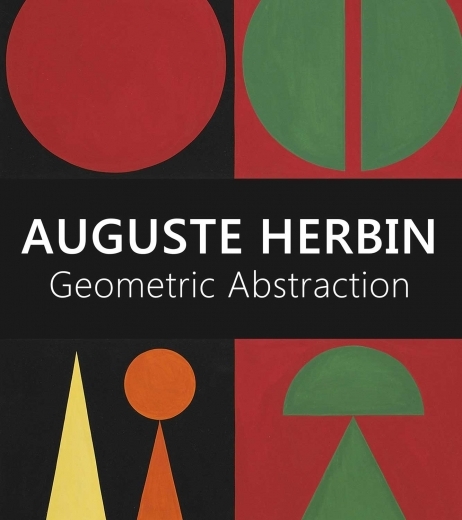 Herbin influenced a wide range of artists and sculptors working in geometric abstract idioms from the 1940s through 1970. 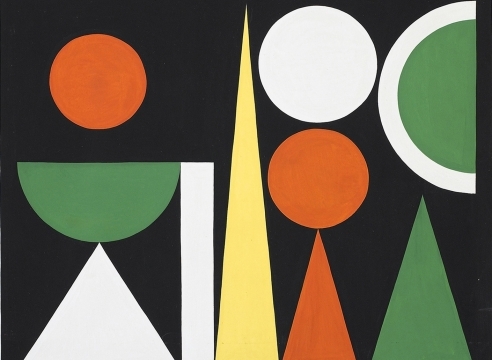 Artists as diverse as Victor Vasarely and Jean Tinguely have claimed his works as inspiration for their own, and recent investigations into post-war European geometric abstraction show renewed interest in Herbin’s pivotal role. Herbin began his career as a Fauve, showing with Matisse and Derain at the Salon des Indépendants in 1906. In 1909 he moved his studio to the Bateau Lavoir, where he met Picasso, Braque and Gris, and came under their influence. By 1910, Herbin’s colorful Proto-cubist works were being shown beside paintings by Léger, Gleizes, and Metzinger and in 1918, the renowned dealer Léonce Rosenberg gave him a solo exhibition at the Galerie l’Effort Moderne, which was a leading force in the promotion of cubism and avant-garde art. In 1931, Herbin’s commitment to abstraction and non-objective art culminated in his founding with de Stijl artist Georges Vantongerloo, the wide-ranging Abstraction-Création Group and in 1949 to his publication of L’art non-figuratif non-objectif. The latter announced the formulation of Herbin’s Plastic Alphabet, a system of correspondences between geometric shapes, colors, letters, and musical notes. This universal language animated the vibrant oil paintings and gouaches of Herbin’s mature period (c. 1945–1960). As seen in the work in this show, hard-edged triangles, rectangles and circles of pure, unmodulated color are distributed in registers that organize the picture field. Pictorial structure and vivid color become inseparable.